Do you remember getting into your grandmother's things when you were little and thinking how pretty they were? Wishing you had items like that? Well there is a company based in United Kingdom that makes Vintage Cosmetic items. It is called the Vintage Cosmetic Company and they have almost everything you could think of that is vintage. I received three items to try out and I enjoyed everyone of them. Let us see the reviews below. The Vintage Cosmetic Company Dolly Bow Makeup Headband is perfect for holding back your hair when applying make-up or even when you want to kick back and relax with a face mask. It is made from super soft towelling in a pale pink polka dot print. This comfy headband will keep hair out of your way while making you look every part the 1950’s glamour queen! 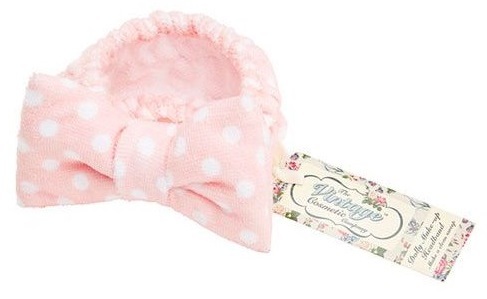 It has a pink polka dot design with a large bow, the elasticized band allows it to stay securely in place, the headband measures 180mm X 90mm X 35mm. Below is a photo of me wearing the headband. I love it. It is so cute and retro. Save your blow dry with this cap. 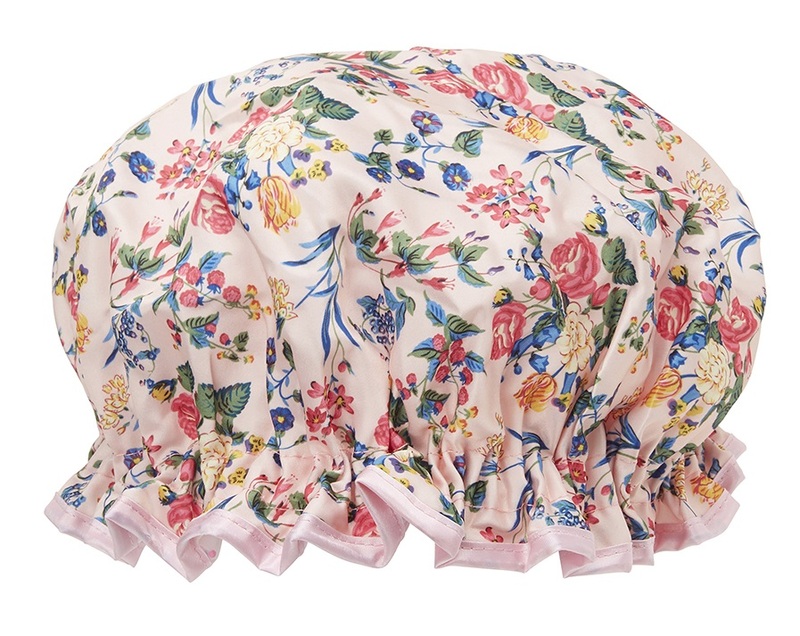 The Vintage Cosmetic Company Vintage Design Floral Shower Cap has waterproof lining, an elasticiszed opening to keep hair enclosed while showering and it has been designed with a beautiful pretty floral print in soft satin. 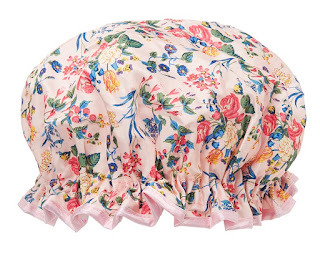 With a pale pink trim and this cap is perfect for keeping hair dry as a bone. It is approximately 271mm X 263mm X 40mm. Brush hair and if it’s long, gently clip it up. .Pull the shower cap over your hair and tuck in any loose strands ensuring the cap is pulled just over the hairline. .Enjoy your shower knowing your hair is safe from drips! .Once finished, hang up your cap to dry. 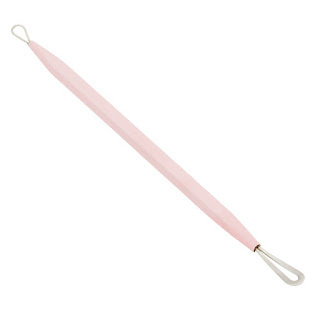 A blemish wand is used primarily by Estheticians but can be used by normal people to get out blackheads. I would avoid pustules, any sort of acne lesion where there is pus. Whiteheads are different and blackheads and milia are different. Whiteheads usually come out easily if steamed, as do blackheads and milia. Pustules need to be left to professionals as there is bacteria, an infection and a core to the pustule. However is is a useful tool to safely extract blemishes without marking or scarring. It come in two shaded: Rose Gold and Pink. Durable and Easy to Use. Made from high quality stainless steel. Approximately 120 mm x 5 mm x 4 mm. It has a soft touch handle that can be held without slipping. 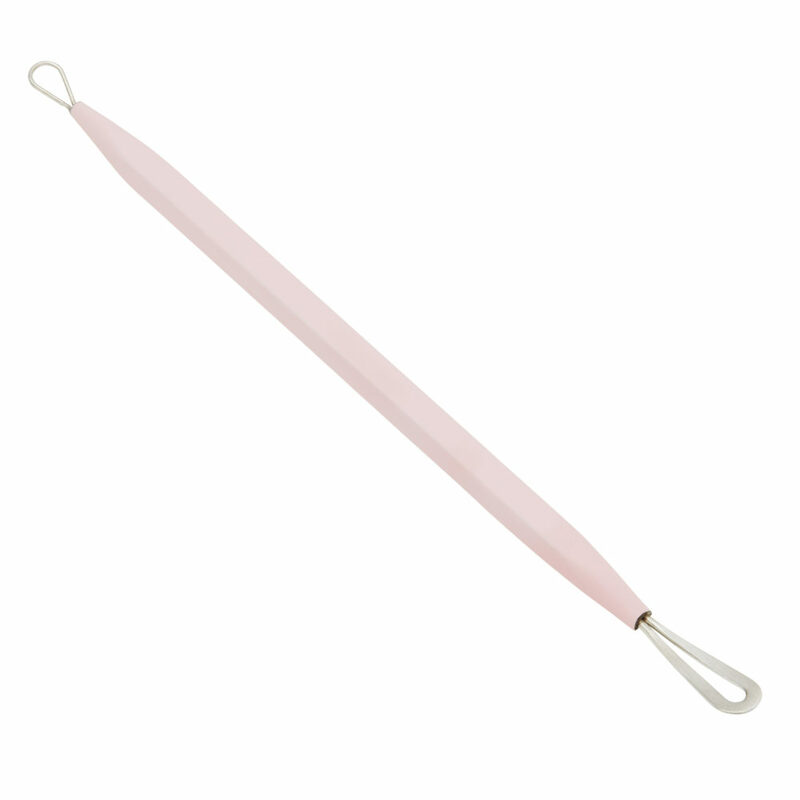 These Blemish Wands feature a small loop for blackheads and larger flat loop for whiteheads. 1. Hold a hot towel over your face to open pores, or alternatively, extract after showering. 2. Once you have selected the most suitable loop, position the end around the center of the blemish and press down gently to extract it. 3. When finished, use cold water or astringent to close pores. Caution: This tool should not be used on deep pimples or acne. Please seek advice from a dermatologist. Always clean your Blemish Wand after each use to prevent the spread of bacteria. Purchase Vintage Cosmetic Company items online at www.vintagecosmeticcompany.com or at Ulta! Check your Ulta first to find out.if they carry them.